Culture | Tithes. X century. Reconstruction PP Talochka and VA Kharlamov. Museum of the City of Kiev. 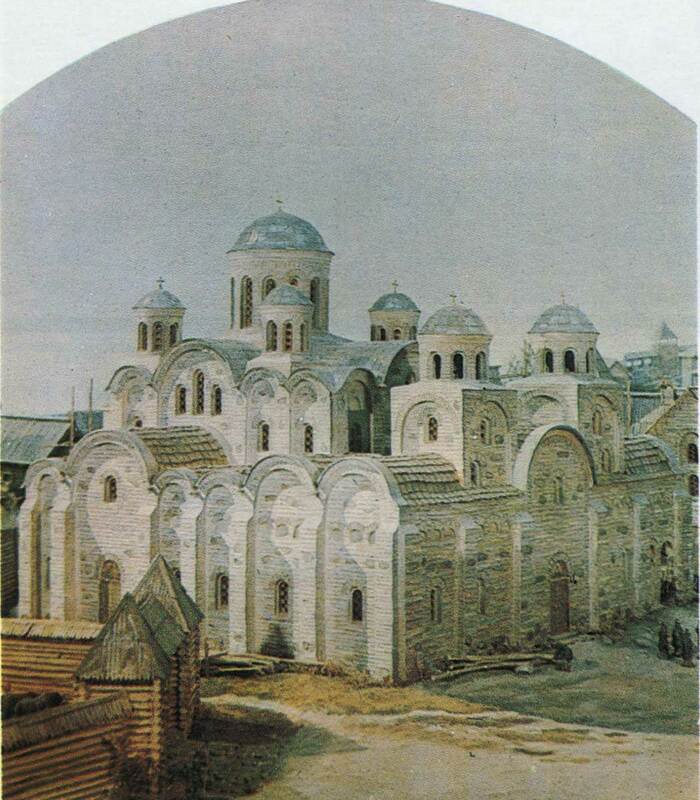 Laid on top of the foundation walls of the contours, the first stone church of Kievan Rus – Tithe, giving an idea of the location and scale of the ancient buildings. In the background – the oldest building on the site of towering building of the State Museum of History of Ukraine.Diorama “Ancient Kiev. 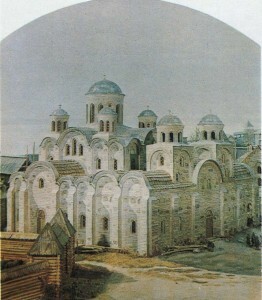 The city of Vladimir. “Artist FG to Costa. The Archaeological Museum of Ukraine.